Do you want the gorgeous smile of a famous celebrity? The team at Glaser Orthodontics are here to help you achieve a perfect smile with Invisalign near Peekskill NY! 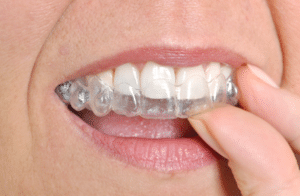 Glaser Orthodontics is proud to offer our Westchester County NY patients Invisalign®. The high-tech system revolves around creating precise scans of your teeth by using a 3D computer imaging system. The aligner trays work to gradually shift each tooth individually, until they are perfectly aligned. Dr. Glaser and the team at Glaser Orthodontics are excited to provide Invisalign to our patients near Peekskill NY because we know that it is a modern alternative to braces. You no longer need to be afraid of embarrassment with traditional, metal braces. We evaluate our patients entirely as individuals in order to determine if Invisalign is the best course of treatment for their dental condition. Contact us to begin the journey to your most beautiful smile, today! 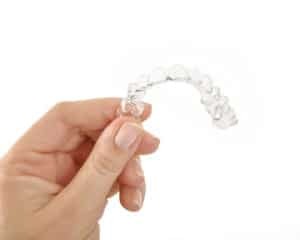 Once you’ve taken the first step in talking with your orthodontist and selected Invisalign as your preferred straightening method, it’s time to learn how to care for your aligners. At Glaser Orthodontics which serves Yorktown Heights, Garrsion and surrounding areas, we recommend wearing your Invisalign approximately 23 hours a day. The aligners are typically removed when you eat so this is the perfect time to clean them. One method is the Invisalign cleaning system that we sell here at Glaser Orthodontics. This system is designed by Invisalign and helps remove plaque within 15 minutes and keeps your aligners odor-free, hygienic and clear. Another method of keeping your aligners clean is to purchase a denture cleaning product. While you eat, you can soak one aligner per one tablet of denture cleaning. At Glaser Orthodontics, we suggest leaving the aligner in the cleaning product for approximately one hour. This can be done up to twice a day. At Glaser Orthodontics, we want to help you keep your aligners clean while straightening your teeth. If you have any quetions regarding your Invisalign care, the staff in Cortlandt Manor is here to assist you. Always remember to rinse before putting your aligners back on and keep on smiling! Can I Whiten My Teeth While My Braces Are On? A frequent question we’re asked by patients and parents of Northern Westchester is if they can get their teeth whitened while their braces are still on. I mean who doesn’t want a nice white smile, right? The answer is you can in fact have them whitened, but its not suggested. The reason being, when you get your braces off you would have yellow squares on your teeth where the brackets are. The best thing you can do is use a whitening toothpaste, mouthwash and floss! Don’t forget you should brush them after every meal or AT LEAST swish water in your mouth. As soon as those braces are off we will clean them and whiten them for you! And if your son or daughter is still not content then you can buy over the counter whitening strips or even go to your local dentist and have them whiten them for you!! If you have any questions, comments, or concerns, please call Glaser Orthodontics in Cortlandt Manor at 914-739-6400! When you get braces at Glaser Orthodontics there are a few things you’ll have to adjust to get optimal results in the shortest amount of time. If you have any questions about the “do’s and don’ts” of living with braces, feel free to ask Dr. Glaser or any member of our Cortlandt Manor team during your next adjustment! Protecting your smile when you play sports is essential whether you have braces or not. Mouthguards help protect your teeth and gums from injury. The team at Glaser Orthodontics can provide a mouth guard that will promote tooth movement while in treatment. After treatment we can create a custom mouth guard, fit just for you, that can last years if you plan on participating further in any sport! Please don’t hesitate to contact our Cortlandt Manor NY office if you have any questions or concerns about your braces. If you are interested in a consultation with our team at Glaser Orthodontics please call us or stop by for a visit! Whether undergoing orthodontic care or not, if you injure your mouth, jaw, or teeth, you should see a doctor or dentist immediately near White Plains NY. You may need an X-ray to determine the extent of your injury. If the injury affects the orthodontic appliances, they will need adjustment or possibly replacement, depending upon the extent of the injury. It is possible for teeth to become infected following orthodontic treatment. This may or may not be related to your orthodontic appliances. If you experience pain or swelling around a tooth that gets progressively worse, seek professional care in Westchester NY as soon as possible. As for on-the-spot remedies, covering a loose bracket or wire with wax can be a quick fix to alleviate discomfort until your next orthodontist visit in Cortlandt Manor NY. Poking or protruding wires can be moved with a cotton swab or tweezers, or clipped down with nail clippers. Be sure to sterilize the tweezers or clippers in alcohol first. Cover any clipped wire ends with a small ball of wax. When in doubt, be sure to contact our Cortlandt Manor NY office with any questions, or to schedule an appointment with Dr. Glaser at Glaser Orthodontics. 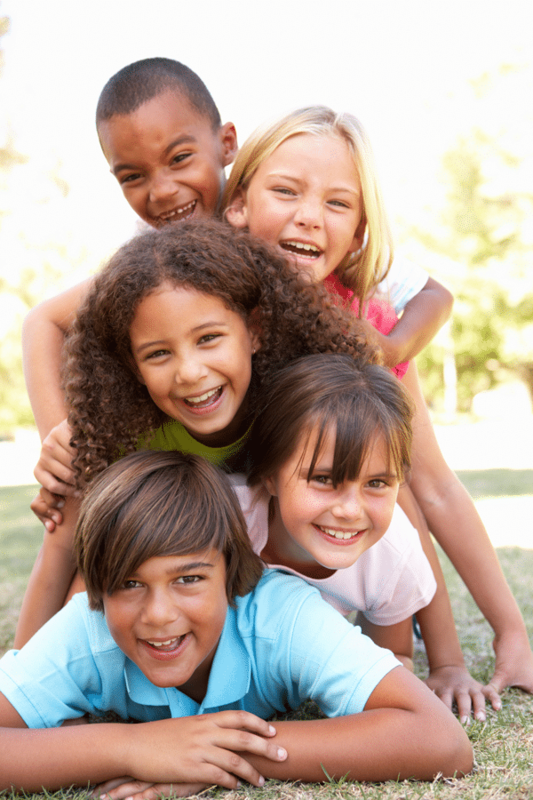 Why Should I Visit the Dentist During My Westchester NY Orthodontic Treatment? So, you just got your braces on, and you’re wondering why you should continue visiting your general dentist since you’re seeing Dr. Glaser every other month. Patients always ask us if they should continue to see their dentist while in orthodontic treatment. In short, the answer is yes. Today, we thought we would share a few reasons why it’s crucial to keep up with your regular visits with your dentist in addition to coming in for your regular adjustments at Glaser Orthodontics. One of the best reasons to visit your dentist while you undergo Cortlandt Manor NY orthodontic treatment is to remove plaque and tartar. Having braces provides additional nooks and crannies in which food particles and bacteria can hide. Eventually, plaque and tartar can form around your brackets, bands or other appliances which can lead to cavities. Having your teeth professionally cleaned can help ensure most, if not all, plaque and tartar is removed. Even if you are undergoing clear aligner treatment, dental checkups and cleanings are equally as important. The next reason to visit a dentist is to help protect your teeth from decalcification, or the loss of calcium in your teeth. A potentially serious condition in which white spots on your tooth surfaces, decalcification is irreversible and if left untreated, can lead to cavities. Decalcification is preventable; Cold Spring NY patients who cut down on sugary sweets and acidic foods, practice good oral hygiene, and visit their dentist regularly can help prevent decalcification. The final reason we recommend visiting your Westchester NY dentist while you have braces is this: cavities can prolong your treatment. If you are interested in completing your orthodontic treatment on time and without any delays, visiting your dentist every six months or as recommended can go a long way toward making that a realistic goal. Your dentist can provide fluoride treatments or other treatments that strengthen your teeth and protect them from cavities. Making sure to visit your dentist will help ensure your teeth look their best once your braces come off. If you do not have a general dentist and would like a recommendation on finding one in the Westchester County NY area, please give us a call or let us know at your next adjustment appointment! We hope these tips help. For more information, we encourage you to give Glaser Orthodontics a call, ask us on Facebook or ask us during your next adjustment visit!